The battle between contact lenses and glasses certainly isn’t a new one. If you’ve ever done a quick Google search, you will see that there are pros and cons to both – and one or the other isn’t always the answer. The fact of the matter is that some people prefer contacts whereas others like glasses better. While there may be a medical reason for why your eye doctor suggests one over the other, in most cases, it is up to you, the patient. 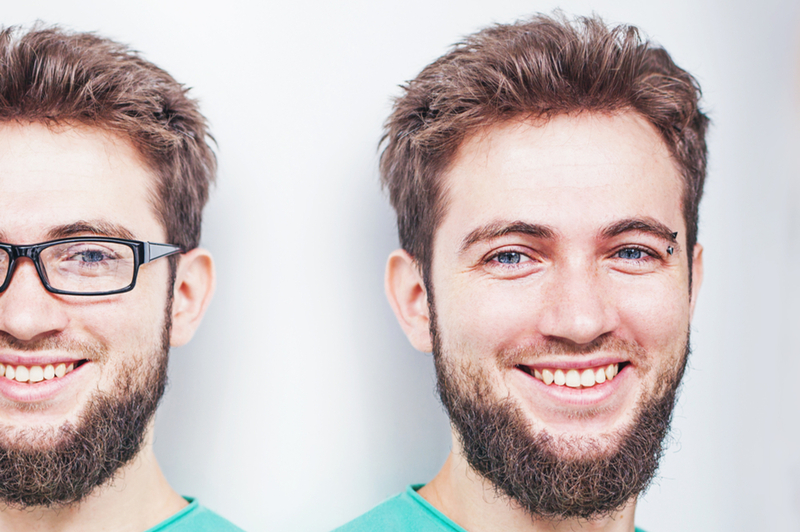 One of the most common questions we get here at First Eye Care DFW is what are the pros and cons of contacts versus glasses. While this answer is largely subjective, there are a few things to keep in mind when trying to decide which is best for your lifestyle and vision needs. Many people are intimidated by even the idea of a contact lens exam, but we are here to tell you it doesn’t have to be that way. There are reasons why contacts may be a better choice for you, and there are also plenty of advantages to wearing glasses instead of contacts. But perhaps this isn’t a question of one or the other. Wearing both contacts and glasses (not at the same time!) is a great option that many people prefer. If you work on your computer, for example, taking your contacts out and wearing glasses instead can provide a huge amount of relief for tired eyes. To learn more about our glasses and contact selection, please contact First Eye Care DFW today.